As always, the Jull Singing Award on Thursday made for an outstanding evening of vocal performances, with seven St Leonards pupils taking to the stage in front of a captive audience and independent adjudicator, Ms Claire Innes-Hopkins, who kindly joined us from the University of St Andrews where she is Acting University Organist and Director of Chapel Choirs. Beth (Year 9) was first to perform, singing Summertime by Gershwin. Beth received a special mention at the end of the evening for being the youngest performer to take part in the competition. Lucy (Year 11) sang two pieces, Cheek to Cheek, followed by a traditional tune called Poor Wayfaring Stranger. Next up was Peter (Year 12), who received compliments on his rich, low notes in Something’s Coming and Luck be a Lady, before Roma (Year 13) took the programme in a more classical direction with Vivaldi’s Qui sedes ad dexteram Patris, and If Music Be the Food of Love by Purcell. 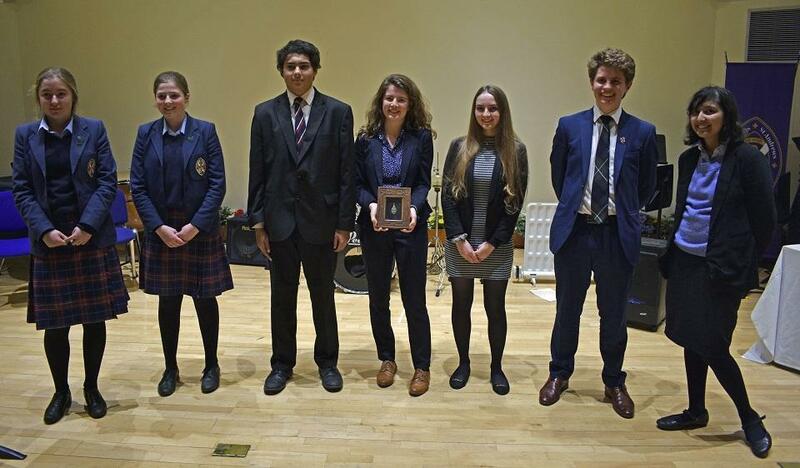 Robert (Year 13) performed Cradle Song and Sunday, while Molly, who was Highly Commended alongside Peter, gave an engaging and emotional performance of Burn by Miranda, which was preceded by Statue at Tsarsoye Selo. Head Girl Eve (Year 13) closed the competition with Brahms’ Sonntag and How Could I Ever Know. The audience and performers enjoyed refreshments in the Music School Auditorium while Ms Innes-Hopkins deliberated on her adjudication. After giving brilliant constructive feedback to each individual competitor, Eve was announced as this year’s Jull Medal winner. A huge well done to all the pupils who performed, and special congratulations to Eve, Peter and Molly.